As a teenager, I became absolutely fascinated by the topic of psychology (and in particular, the use of scientifically proven methods to help people reduce their stress) spending hours in the local library borrowing and poring over many books on the subject. Subsequently, I was absolutely delighted to be offered a place at university, to study the subject. I subsequently graduated with an Honours degree in Psychology from the University of Hull in 1985. (For my final year dissertation I was awarded the Hull Special Hospitals Prize). I then worked as a research assistant at St Thomas's Hospital in London, under Dr Peter Fenwick, before being awarded a postgraduate scholarship from the Medical Research Council to study at Edinburgh University. I graduated with a Masters degree in Clinical Psychology in 1990. 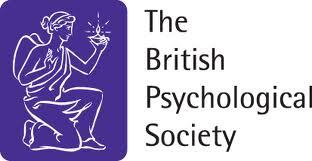 My first appointment as a qualified clinical psychologist was with the pioneering Northumberland District Psychology Service in the North East of England. Whilst here, I studied clinical hypnosis at Sheffield University under Dr Michael Heap and cognitive therapy at the nationally renowned Newcastle Cognitive Therapy Centre, under the tutelage of Professor Ivy Blackburn; I was awarded their Postgraduate Diploma in Cognitive Therapy in 1995, after successfully completing their one year part-time training. My next post was in Bristol, in the South West of England. Here I continued to successfully treat individuals in both acute and chronic emotional distress (referred by both general practitioners and psychiatrists) as well as being involved in the teaching, training and supervision of others in cognitive therapy. In addition, I was fortunate enough to be able to pioneer the first mindfulness-based treatment for chronic pain in the UK, for which I was awarded a Doctorate in Clinical Psychology from Cardiff University, in 2001. I moved to Brisbane in 2005 and here continue to offer my expertise in modern psychological therapies, particularly cutting-edge cognitive behaviour therapy, mindfulness training and clinical hypnosis, to successfully treat both adults and children experiencing post-traumatic stress disorder (PTSD), depression, anxiety, addictions, trauma, adjustment disorders, phobias, chronic pain syndromes, stress-related illnesses, psychotic illnesses, childhood abuse, work-related stress and more. Each treatment is tailor made to ensure the most rapid improvement possible within the fewest number of sessions.